Mr. Christensen advises and assists clients in the purchase, development, zoning, financing and sale of all types of real estate, as well as entity formation, acquisition and sale of operating businesses. Over the last several years, Mr. Christensen has represented multi-state and international companies in the purchase and development of more than one hundred regional shopping centers, as well as business or site acquisition and development of several thousand smaller commercial properties, including fast food restaurants, automotive quick lubrication facilities, automotive tire and service centers and car wash facilities located throughout the United States and Canada. Mr. Christensen also has extensive experience in office/warehouse, industrial, and distribution facilities, development of residential subdivisions, as well as the purchase, development, financing, leasing and sales of retail office buildings. His advice to clients includes general real estate and corporate, finance, leasing, zoning, land use and general commercial counseling. 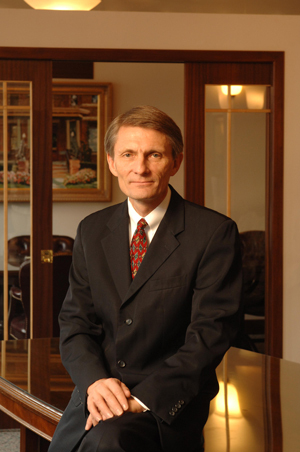 Among other clients, Mr. Christensen has represented Kroger/Smith’s Food and Drug Centers in projects throughout Utah and the western United States, The Boyer Company in development and leasing of shopping center properties throughout Utah, and Pennzoil/Quaker State in the development, purchase and sale of hundreds of quick lube facilities throughout the United States. He assisted Hamilton Partners in the purchase of the Broadway Center, the Newhouse Building, the Boston Building and in its acquisition, entitlement and development of the newly completed 22-story high-rise office building in downtown Salt Lake City at 222 South Main. Mr. Christensen is currently on a three year sabbatical (Mormon Mission President in Guatemala.) He is expected to return in July 2020.